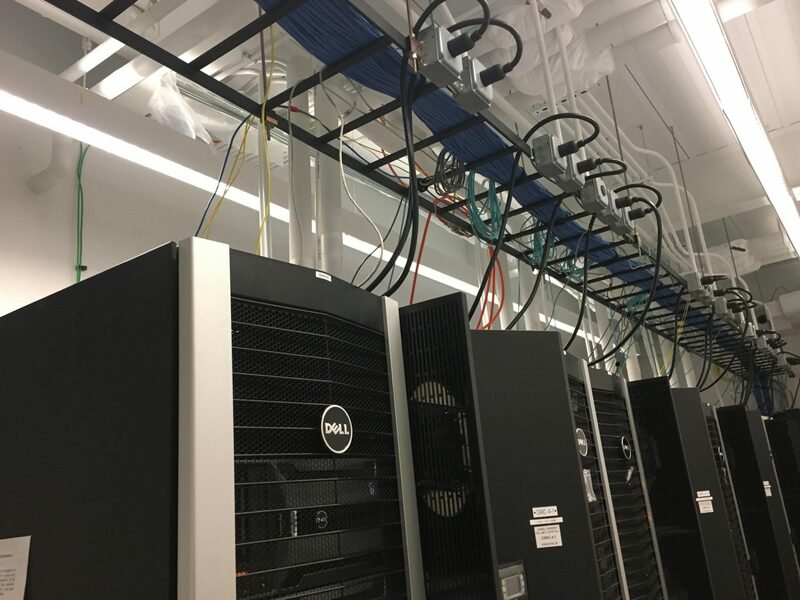 We’re squeezed into a small room filled with tall black server racks. Fans interweave with computers, sputtering cold air. The whirring noise is so loud it drowns out Cornell PhD candidate Adem Efe Gencer as he explains that inside the mundane set of racks is Cornell’s ambitious attempt to model the global bitcoin network – all in the name of science. The servers, he notes, make up about half of a bitcoin testbed that comprises more than 1,200 nodes. More are in the basement below. Called ‘Miniature World’, the project is named after the diorama copies of real-world places presented at tourist attractions. Except, rather than toy cars and cardboard buildings, Miniature World models bitcoin’s sprawling network of nodes. The most obvious question then, is, what are they doing with this massive complex of nodes? Gencer is a part of IC3, a Cornell arm that’s dedicated solely to the study of cryptocurrencies, and he’s studying how the system as a whole may react to a different rules or possible adversarial conditions. The team has big plans for the ‘little’ network. “We want to expand it. The ultimate goal is to make it as large as the bitcoin public network,” he said. To be clear, that’s a lot of nodes. According to bitcoin network statistics from Bitnodes, there are nearly 7,000, but including non-listening nodes (those that don’t accept new connections to other nodes), the count adds up to more than 50,000. Paired with this testbed, Cornell has developed a framework for what Gencer views as a more “principled” way of comparing protocols, one that involves measuring metrics such as delays in passing information and the system’s resilience to centralization. Miniature World is capable of running any client or more inventive protocols, like Bitcoin-NG, which radically re-engineers bitcoin with the goal of scaling it to support more transactions. “As long as a client is given to our system, we can run it,” he said. Gencer framed this way of measuring affects to the network in contrast to the systems bitcoin uses in its decision-making today – some would argue to questionable effect. 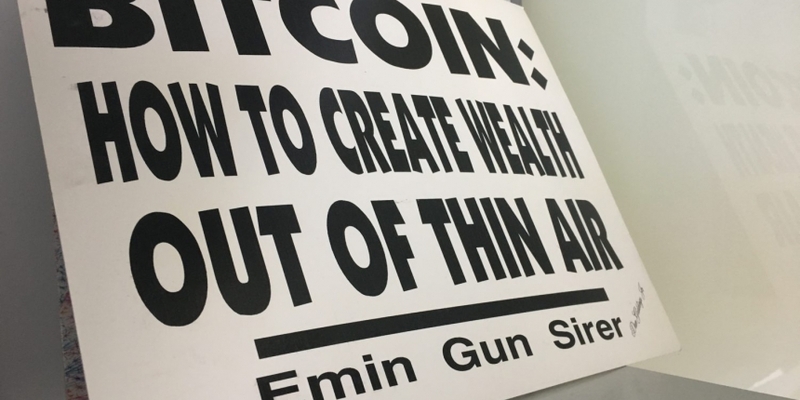 “There’s another approach in bitcoin community that is quite popular, which is discussion,” Gencer joked, alluding to the constant dialogue on social media platforms such as Twitter and Reddit. Others have suggested that simulations aren’t perfect yet, either, given that the technology is in its early stages and it’s difficult still to tell where they’re effective. Miniature World isn’t IC3’s only bitcoin project, however. Falcon, which launched last year, is one of the institution’s more notable public blockchain efforts, aiming as it does to help decentralize the bitcoin network. The network, made up of 10 nodes maintained by Cornell, provides a ‘fast lane’ that miners and mining pools of all sizes can use to send and receive blocks more quickly. 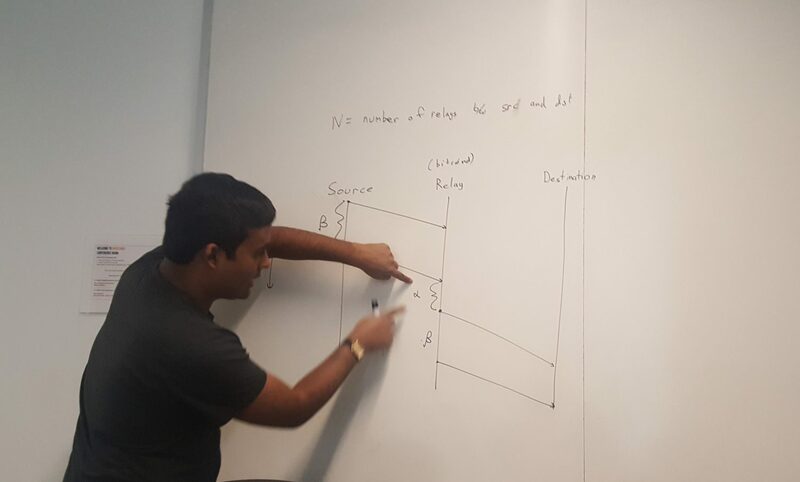 “This equalizes the playing field [between miners] a lot,” said Cornell graduate student Soumya Basu while white-boarding the system. To date, Falcon has been lauded for offering a second bitcoin relay network to help miners propagate blocks across the network more quickly. Previously, there was only one: FIBRE, formerly known as the Bitcoin Relay Network. Basu emphasized that a diversity of options could be useful for miners. “If you only have one relay network and it goes down for some reason (maintenance, being attacked, etc), then block propagation becomes much slower for that time period,” he said. IC3 co-director Emin Gün Sirer agreed, arguing that with additional implementations, users don’t have to put trust in just one open-source network and the volunteer group that maintains it. Again, the project isn’t there just for efficiency’s sake. In interview, Basu argued that having multiple initiatives like Falcon could help bitcoin better achieve its goals by minimizing trust. “Relay networks are in a position of power. If a relay network decides to propagate some blocks slower than other blocks, they can make attacks such as selfish mining easier to pull off,” he said. Here, Basu hinted at how Cornell is interested in the game theory behind bitcoin as well. “If you have multiple relay networks propagating blocks, then the benefit of slowing down a particular miner’s block is very limited,” he said. Basu, Sirer and IC3 associate director Ittay Eyal, the drivers of the project, also say they have come up with an innovation – called ‘cut-through routing,’ that’s now included in FIBRE – which increases the speed at which the network can propagate blocks. Today, Cornell’s Miniature World is one of a number of notable bitcoin simulators. Although there are others including one open-sourced by Swiss technology university Eth Zürich. But, it’s also seeking to maintain a lead by expanding its work to other notable blockchain and cryptocurrency projects. To that end, Gencer said Cornell is working on a version of ethereum that will run on the same infrastructure as the current testbed.